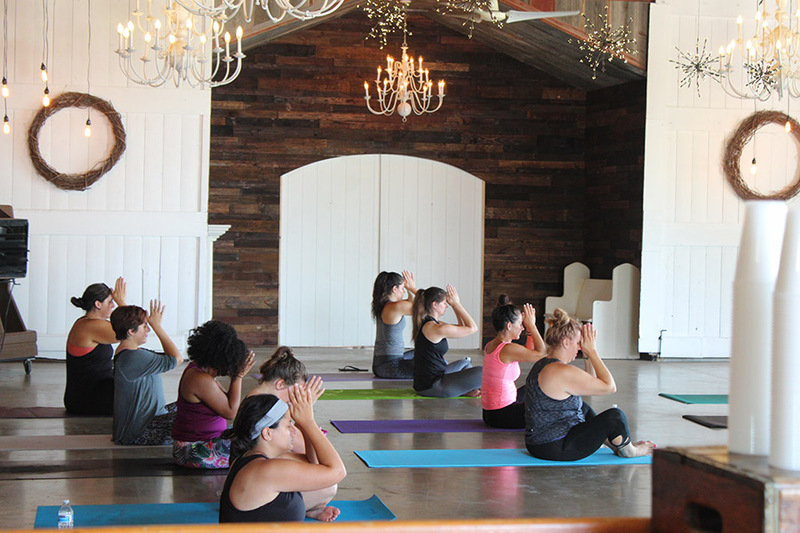 Come unwind in our rustic barn for a yoga event unlike any you have ever experienced, As yoga finishes you are welcomed to uncork + unwind by EC’s fire pits. This event is BYOB. All food is fresh and homemade, and served buffet style at 8:15pm. At this time, you can head out to the newly renovated patio where you can roast marshmallows by the fire, and enjoy your food and wine. The food selection changes each night, but expect s’mores as well as appetizers, small entrees, and desserts from our amazing chefs. Be sure to bring a mat and invite your friends!